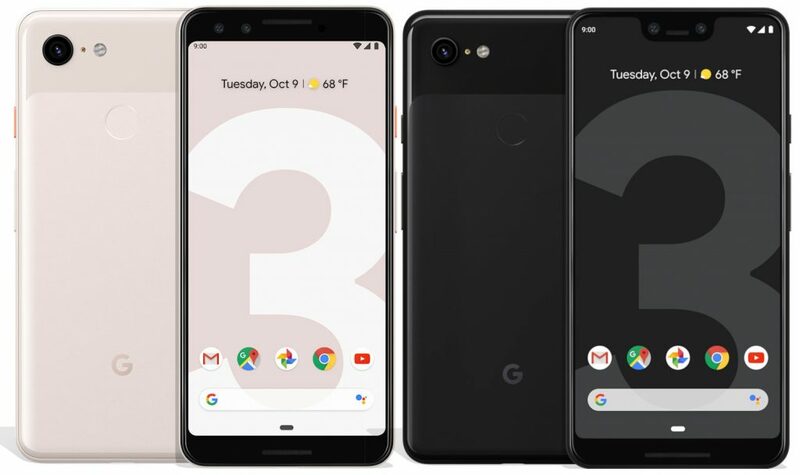 In an official event today, Google has finally announced the new generation Pixel phones, the Google Pixel 3 and Pixel 3 XL. Both the devices come with an OLED notch display and both features a dual front-facing camera, however, there is a single camera only on the rear side of the phones. Both runs on the Android 9.0 Pie out of the box and comes with Clearly White, Just Black and Not Pink colour options. Google is also bundling Google Pixel USB-C earbuds in the box. The Google Pixel 3 is priced at $799 for the 64GB inbuilt storage variant and $899 128GB inbuilt storage variants. The bigger Pixel 3 XL is priced at $899 for the 64GB variant and $999 for the 128GB inbuilt storage variant. The Pixel Stand with 10W charging is priced at $79. The pre-orders for the device have started in the US. The new Pixel 3 and Pixel 3 XL comes with AI-powered camera feature including Top Shot which is an AI-based feature that capture multiple shots to pick out the best photo, Super Res Zoom that produces sharp details when you zoom, Night Sight feature that Let's you take bright, detailed, colourful shots even in low light (coming soon to Pixel 3 as well) and Photobooth mode that uses AI to recognize that when you’re smiling or making a funny expression, you’re ready for a selfie. Both the device comes with Titan Security, a system that protects most sensitive on-device data by securing the lock screen and strengthening disk encryption. The Pixel 3 features a 5.5-inch FHD+ OLED 18:9 display, 443 PPI, HDR support, Corning Gorilla Glass 5 protection and 1080 x 2160 pixels resolution. It is powered by an Octa-Core Qualcomm Snapdragon 845 Mobile Platform with Adreno 630 GPU and comes with 4GB of DDR4X RAM with 64GB / 128GB inbuilt storage options. It runs on the Android 9.0 Pie OS out of the box. It features a single 12.2-megapixel rear camera with LED flash, 1.4μm pixel size, ƒ/1.8 aperture, 76° FOV, Dual PD autofocus, OIS, EIS, 4K video recording at up to 30 fps, 720p at up to 240 fps, Spectral + flicker sensor. It comes with a dual front-facing camera with an 8-megapixel autofocus camera with f/1.8 aperture, 75° FOV along with a secondary 8-megapixel fixed focus camera with f/2.2 aperture, 97° FOV, 1080p video recording at up to 30 fps. It comes with the Active Edge feature and has a fingerprint sensor on the rear side. Other features include water and dust resistant (IP68), stereo front-firing speakers and 3 microphones. It has a 2915 mAh battery with fast charging and wireless charging. It supports 4G VoLTE, WiFi 802.11ac 2x2MIMO (2.4/5 GHz), Bluetooth 5 LE, GPS, USB Type-C Gen 1, NFC connectivity options. It measures 145.6 x 68.2 x 7.9mm and weight 148 grams. 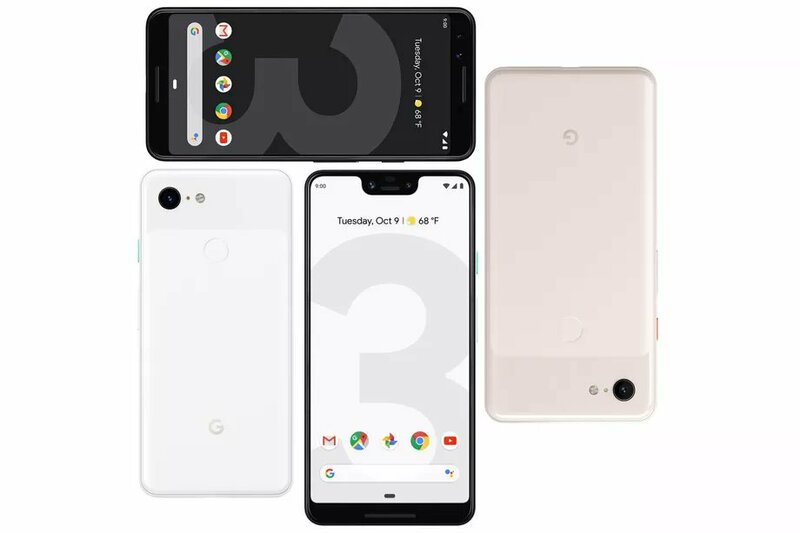 The bigger Pixel 3 XL features a 6.3-inch Quad HD+ OLED 18.5:9 display, 523 PPI, HDR support, Corning Gorilla Glass 5 protection and 2880 x 1440 pixels resolution. It is also powered by the same Octa-Core Qualcomm Snapdragon 845 Mobile Platform with Adreno 630 GPU. It comes with 4GB of DDR4X RAM and 64GB / 128GB internal storage variants. It runs on the Android 9.0 (Pie) OS out of the box. It features a single 12.2-megapixel rear camera with LED flash, 1.4μm pixel size, ƒ/1.8 aperture, 76° FOV, Dual PD autofocus, OIS, EIS, 4K video recording at up to 30 fps, 720p at up to 240 fps, Spectral + flicker sensor. It comes with a dual front-facing camera with an 8-megapixel autofocus camera with f/1.8 aperture, 75° FOV along with a secondary 8-megapixel fixed focus camera with f/2.2 aperture, 97° FOV, 1080p video recording at up to 30 fps. It has a 3430mAh battery with fast charging and wireless charging support and comes with 4G VoLTE, WiFi 802.11ac 2x2MIMO (2.4/5 GHz), Bluetooth 5 LE, GPS, USB Type-C Gen 1, NFC connectivity options. It comes with a fingerprint sensor on the rear side and suopports active edge feature, water and dust resistant (IP68), stereo front-firing speakers and 3 microphones. It measures 157.9 x 76.7 x 7.9mm and weight 184 grams.